Lightweight protection without the hefty price tag. 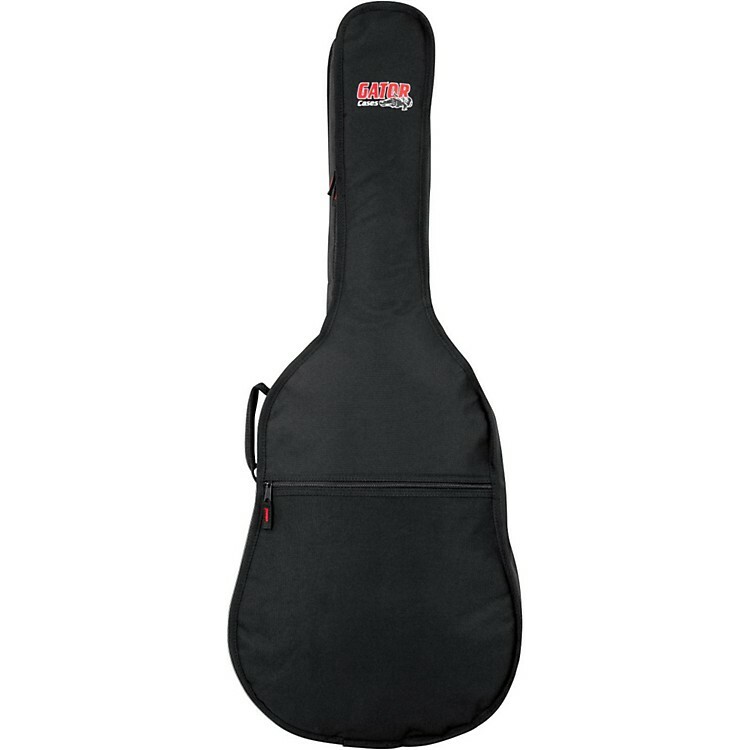 This durable guitar gig bag for 1/2- and 3/4-sized guitars is constructed with a 600-denier nylon exterior and 420-denier nylon interior with 2/5" of padding to keep your mini guitar protected. The interior of the GBE-Mini-Acou guitar bag is reinforced at the headstock and bridge to provide extra protection for the parts that need it most. An exterior accessory pocket provides space for picks, business cards, and other essential gear. A comfortable shoulder strap makes it easy to tote around town. A rugged gig bag to keep your guitar safe without breaking your budget. Order now!